Rainbow Six Siege is a competitive multiplayer first-person shooter developed by Ubisoft Montreal. Players chose from a large roster of Operators with their own weapons and abilities to win round-based attack and defend matches. Rainbow Six: Siege has all of its major expansions available as free updates - these add maps and "Operators" (playable characters) to the game, as well as general game patches. The game features both a real-money premium currency ("R6 Credits") and a currency acquired through gameplay ("Renown"), each of which can be spent to unlock more operators. Operators are surprisingly balanced, and operators available at purchase are no worse than DLC operators. Alpha Packs, the game's loot boxes, can only be gotten by winning matches or buying them with Renown—though an FAQ page states that they will be buyable with R6 Credits in the future. Items found in Alpha Packs are cosmetic and do not have any effect on gameplay. Packs may contain items the player has already acquired - when this happens, the duplicate items are automatically converted to Renown based on the item's rarity. Some cosmetic items can only be acquired from these loot boxes. Season passes are available, granting "VIP status" which allows access to the new operators a week earlier than the free player-base, as well as a boost to the amount of Renown earned through play. Season passes have set expiration dates, after which a new one must be purchased to continue enjoying the benefits of VIP status. In this way, the game's season passes function as a kind of optional subscription service - albeit a much cheaper one than something like a typical MMORPG. Season pass holders do not need to spend any in-game currency to unlock new operators while their season pass is "active". There is a cheaper-than-standard "Starter Edition" of the game available, which comes with fewer operators unlocked out of the gate, and steeper in-game currency costs of unlocking more of them (Ubisoft claims "Approx. 15 hours to unlock 1 operator"). Just as with the standard version of the game, everything can eventually be unlocked without further purchase. Pricing: Season Passes cost about $30 USD, and run out every season (1 year). R6 Credits come in packs from $10 to $100 USD per pack. There are also a large number of cosmetic skin-packs available for $5-$10 USD a piece. From March 6th 2018 to April 3rd 2018, the game sold loot boxes named "Outbreak packs", containing randomized cosmetic items which could not be acquired anywhere else. Outbreak packs were only available through R6 Credits. This event has now ended, and at the moment, there are no real-money loot boxes available in the game. This page will be updated should this change again in the future. Rainbow Six: Siege has all of its major expansions available as free updates - these add maps and "Operators" (playable characters) to the game, as well as general game patches. 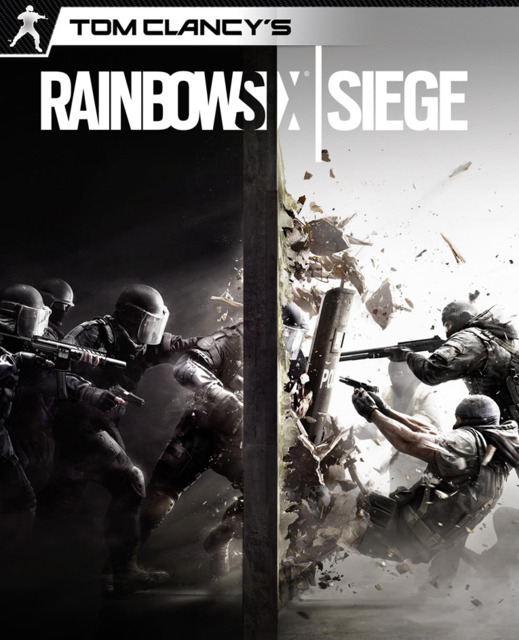 The game features both a real-money premium currency ("R6 Credits") and a currency acquired through gameplay ("Renown"), each of which can be spent to unlock more operators. Operators are surprisingly balanced, and operators available at purchase are no worse than DLC operators. Alpha Packs, the game's loot boxes, can only be gotten by winning matches or buying them with Renown—though an FAQ page states that they will be buyable with R6 Credits in the future. Items found in Alpha Packs are cosmetic and do not have any effect on gameplay. Packs may contain items the player has already acquired - when this happens, the duplicate items are automatically converted to Renown based on the item's rarity. Some cosmetic items can only be acquired from these loot boxes. Season passes are available, granting "VIP status" which allows access to the new operators a week earlier than the free player-base, as well as a boost to the amount of Renown earned through play. Season passes have set expiration dates, after which a new one must be purchased to continue enjoying the benefits of VIP status. In this way, the game's season passes function as a kind of optional subscription service - albeit a much cheaper one than something like a typical MMORPG. Season pass holders do not need to spend any in-game currency to unlock new operators while their season pass is "active". There is a cheaper-than-standard "Starter Edition" of the game available, which comes with fewer operators unlocked out of the gate, and steeper in-game currency costs of unlocking more of them (Ubisoft claims "Approx. 15 hours to unlock 1 operator"). Just as with the standard version of the game, everything can eventually be unlocked without further purchase. Pricing: Season Passes cost about $30 USD, and run out every season (1 year). R6 Credits come in packs from $10 to $100 USD per pack. There are also a large number of cosmetic skin-packs available for $5-$10 USD a piece. From March 6th 2018 to April 3rd 2018, the game sold loot boxes named "Outbreak packs", containing randomized cosmetic items which could not be acquired anywhere else. Outbreak packs were only available through R6 Credits. This event has now ended, and at the moment, there are no real-money loot boxes available in the game. This page will be updated should this change again in the future.